Expired 10mo ago . Last validated 10mo ago . Used 5 times. 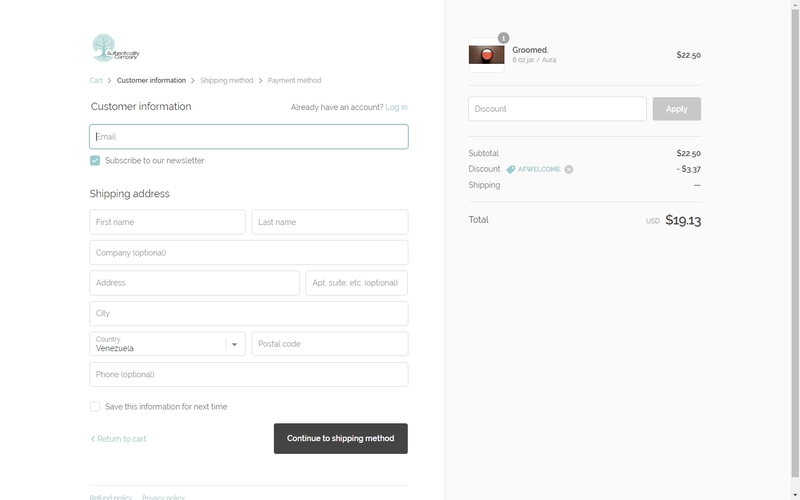 Carol Zacarias I am re-activating this expired deal. I will update it and validate that it works. 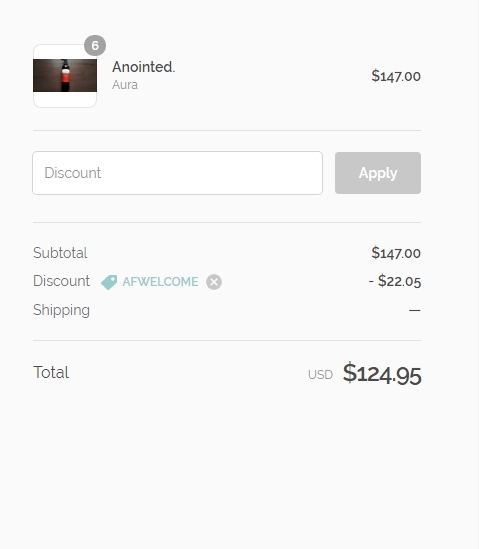 Then, just select your items, enter the promo code at checkout in order to ave 15% Off on Your First Order at Authenticality Company. Veronica Vera I am validating that this deal works as described. 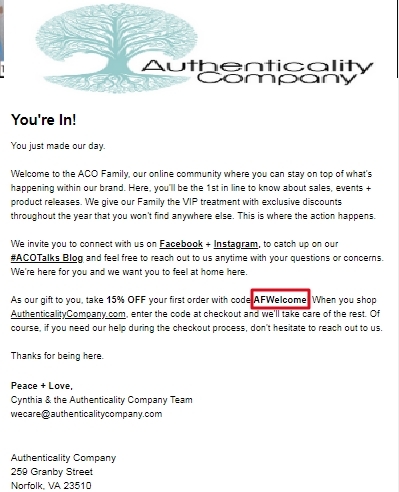 Enter code “AFWELCOME” and Get 15% Off Your First Order at Authenticality Company. NESTOR NUÑEZ I am validating that this deal works as described. 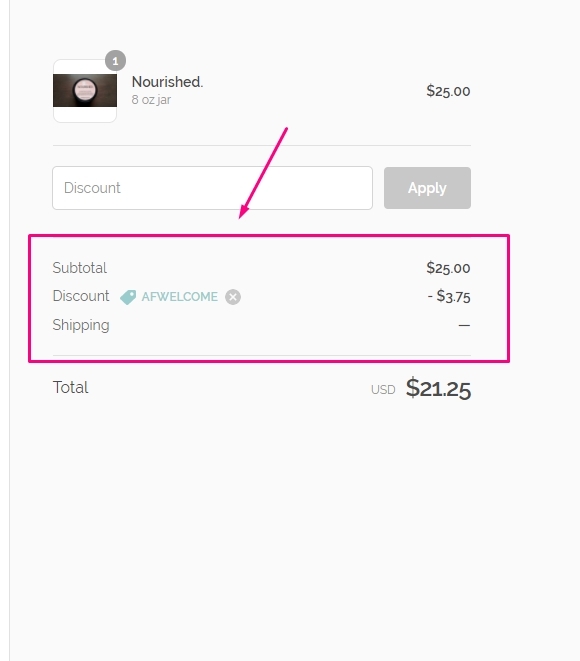 Just enter the code at checkout to get 15% Off Your First Order at Authenticality Company.